I have an essay about reading my own work in Self-Promo Stories: Authors’ Boldest, Cleverest, and Wackiest Strategies to Sell their Own Books, edited by Valerie Frankel, which you can read for free from Smashwords: https://www.smashwords.com/books/view/683123. “Touched by a Ghost,” an excerpt from my essay in the first Haunted Mansion Project book appears in THE HORROR ADDICT’S GUIDE TO LIFE, edited by David Watson and published by HorrorAddicts.net. Other contributors include Emerian Rich, Sumiko Saulson, H.E. Roulo, Laurel Anne Hill, and many more. ALL YOU NEED IS MORBID, a collection of my morbid travel essays, appeared on Wattpad.com. Join me and my husband Mason as we explore the world from San Francisco to Japan by way of Paris, Prague, and Pompeii. The book was chosen for the Featured Nonfiction list on Wattpad in August 2014. In February 2015, it won one of the first ever HQ Love Watty awards. From Western Legends Press: WISH YOU WERE HERE: ADVENTURES IN CEMETERY TRAVEL. Come along as I explore 50 graveyards in 35 essays, illustrated with photographs from my travels. Many of the essays originally appeared in Gothic.Net, Morbid Outlook, Travelers’ Tales: Paris, and Morbid Curiosity magazine. The book is available from Amazon, Createspace, and selected bookstores. I have an essay called “We Are All Survivors Now,” about the 2012 Haunted Mansion Writers Retreat in THE HAUNTED MANSION PROJECT: YEAR TWO, which I edited for Damnation Books. It is available here. From January 2014 through January 2015, I contributed a monthly travel essay to Scoutie Girl online. Topics included sleeping with the fishes at San Francisco’s Academy of Sciences, eating my birthday dinner in utter blackness at Opaque, following in the footsteps of Joan of Arc, and much more. Hear me read my true story “The Ghost of Friends” on Jennifer’s Ghost. Read “Curiosity and the Cat” about my first visit to a graveyard in Japan at Cemetery Travel. 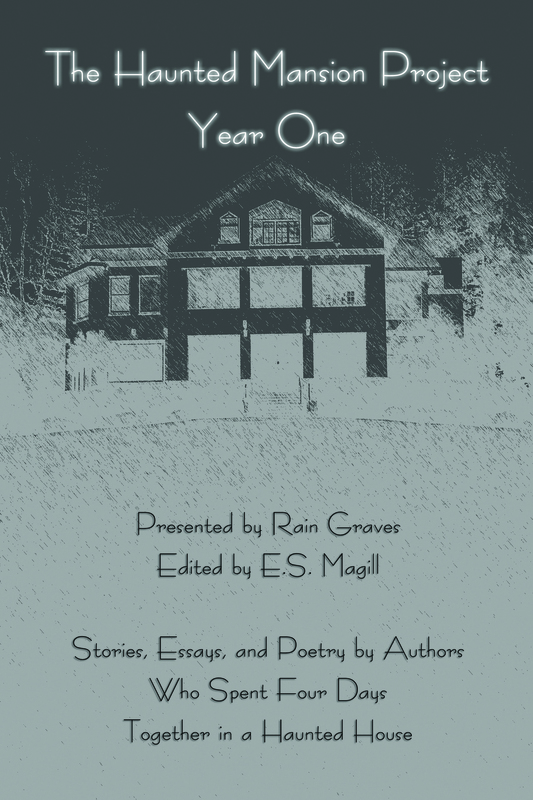 “Touched,” my essay about encountering ghosts, appeared in The Haunted Mansion Project: Year One, edited by E.S. Magill. 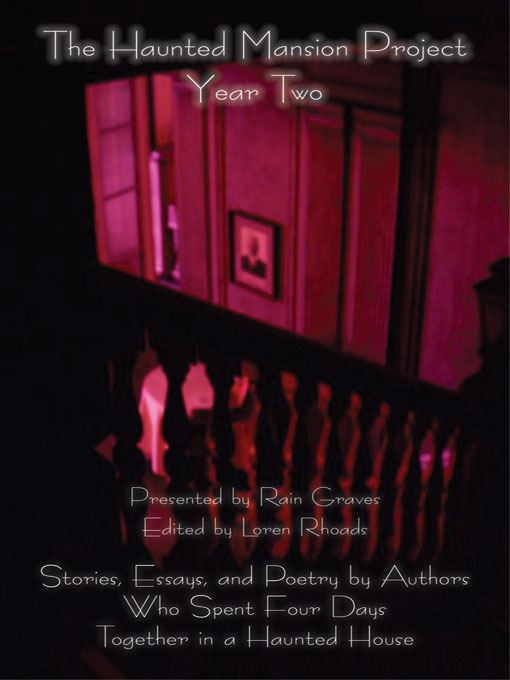 From Damnation Books: In the fall of 2010, ten horror writers met at a haunted mansion to spend four days together. This anthology collects the fiction, poetry, and journals inspired by that weekend. It includes work by S.G. Browne, Sephera Giron, Rain Graves, E.S. Magill, Weston Ochse, Yvonne Navarro, and Loren Rhoads, among others. 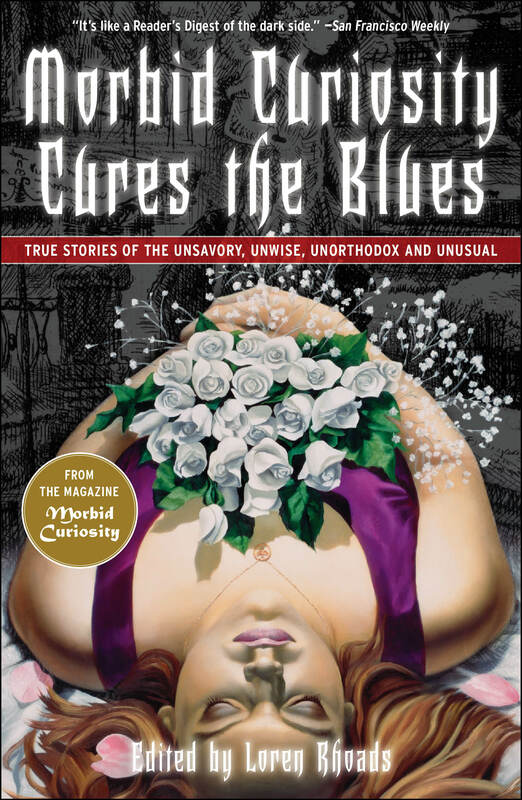 Morbid Curiosity Cures the Blues: True Stories of the Unsavory, Unwise, Unorthodox, and Unusual contains my essays “No Spill Blood” and “The Mortician’s Gift” and dozens of sidebars. Thirty-seven writers. One rule. Each story must be told in the first person. Clint Catalyst (Cottonmouth Kisses) and Michelle Tea (The Chelsea Whistle) bring together what can only be described as a dream cast of literature’s new avant-garde. Catalyst calls the end product “a wonderful sampling of oddities, like a dangerous box of chocolates or an unmarked prescription bottle.” These stories offer scary, funny, chaotic, moving, poignant, intimate glimpses into lives on the fringe. Travelers’ Tales: San Francisco includes my essay “Going In” about the Tactile Dome, a pitch-black maze at the old Exploratorium. San Francisco appeared instantly — just add gold and stir! — when precious ore was discovered in the nearby hills in 1848. All of that rich history is captured in Travelers’ Tales: San Francisco along with clear portraits of today’s city. In these true stories, you will explore the North Beach of the Beat era and beyond with Herbert Gold, discover true romance on a cable car with Michele Anna Jordan, uncover the real Mission district with John Krich, marvel at the city’s wild light with Andrei Codrescu, gumshoe through Sam Spade’s San Francisco with Don Freeman, and learn what it means to be a “quintessential San Franciscan” with the late Herb Caen. The complete list of my travel publications is here. The complete list of my personal essay publications is here.